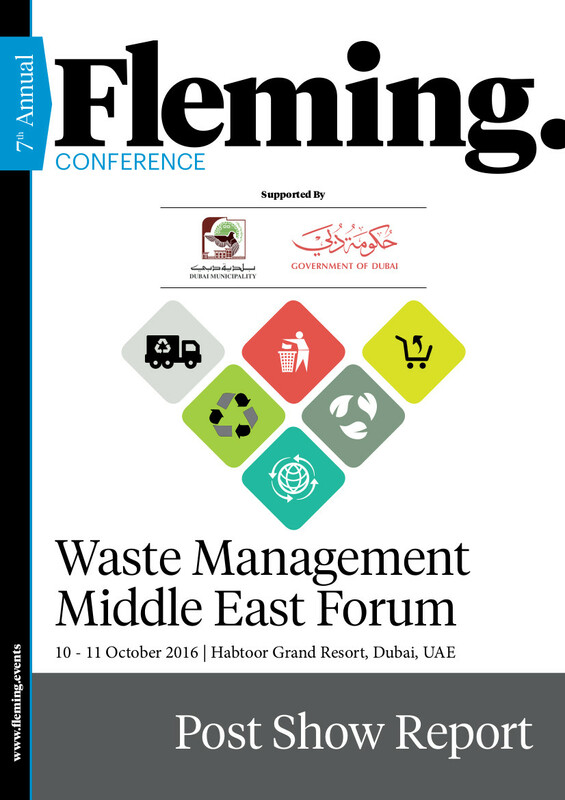 7th Annual Waste Management Middle East Forum - Post Show Report | Fleming. The 7th Annual Waste Management Middle East Forum was widely appreciated for providing strategical solutions to counter the magnitude of waste management problems in the GCC region and also for recommending techniques and policies which help in improving the waste management situations. The forum was supported by Dubai Municipality and Government of Dubai, while BEKON and Westinghouse acted as Silver Sponsors, Agrivert was reeled in as Associate partner and finally, Tarpomatic, Diesoil and Arafin were the Exhibiting partners during the forum.